A dog activity monitor is one of the most useful tools that you can get for your dog. Knowing what your dog is up to during the day when you are at work or do not have your eyes on him can be extremely enlightening and help you care for him better. But there is a lot to choosing the right dog activity monitor. In this buying guide, we will be reviewing five of the top dog activity monitors currently on the market as well as delving into how to buy the right dog activity monitor in detail. Whether you have great Danes or German Shepherds, you still want to keep them as happy as possible, and a dog activity monitor can definitely help with that. Here are the top five dog activity monitors currently on the market. These have been chosen because they offer all the features that you need to keep track of your dog’s movements and activity, and to be able to use that information to improve his or her quality of life and monitor health as well. Let’s look at these five top choices in detail. The first is this Whistle 3 GPS pet tracker and dog activity monitor. Like many of the dog activity monitors on the market, this incorporates GPS technology so that you can find your dog if he or she escapes and you have to track them down. GPS technology is extremely useful when you have a lost dog because it can pinpoint your pup’s location anywhere in the world. GPS uses satellites that are in orbit above the earth to show you exactly where the monitor object is – which is attached your dog’s collar – anywhere on the planet. That means, no matter if your dog is near or far, you will still be able to find them. But this dog activity monitor doesn’t just use GPS. It has an entire failsafe infrastructure set up so that you can always track down your dog no matter what. It uses GPS, Wi-Fi, Bluetooth and cellular signal to track down your dog’s exact location. If fits on the dog collar easily, is unobtrusive, and will not make your dog want to remove the collar because it is there. You use the dog collar in conjunction with the application which can be downloaded to your android or iOS phone, and it shows you where your dog is, gives you alerts when your dog wanders out of the safe zone and even tracks your dog’s health and activity to make sure that they are getting all the exercise they need and giving you an idea of what they do during the day. You do have to pay for the subscription if you want to use the advanced features of the application, but it is well worth it because of the information that it gives you. Some of the features that come with this activity monitor include nationwide location tracking, alerts by text, app or email when your pet leaves the safe zone, previous 24 hour monitoring, daily activity monitoring and long-lasting battery life requiring a charge only once every seven days. It is also extremely durable and completely waterproof and it will attach to a collar or harness that is up to an inch wide. FitBark makes the second entry on the list, and if you think the name is familiar, then you are right. 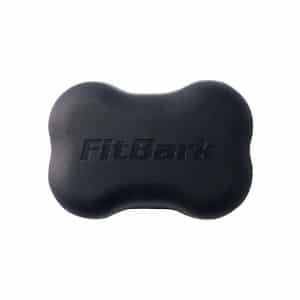 FitBark is the brainchild of the Fitbit Company, which monitors human daily activity in much the same way. There are some major advantages to going with this activity monitor over the previous one, as well as a few disadvantages. You do not get the comprehensive failsafe coverage through four different monitoring types, but you do get GPS tracking anywhere in the country and syncing up with your existing FitBit account to monitor your pets while you are monitoring your own health. You are able to monitor your pets activity and sleep 24 hours a day seven days a week, as well as track their activity in the past, determine their sleep quality, see how much distance they travel in a day, determine how many calories they burn and in general get a much better indication of the overall health and happiness of your dog. You can link your human FitBit with your dog’s, and then monitor on your phone, your Apple watch or Jawbone device so that you can both work towards health together. The battery life on this device last for up to six months, which is obviously a major advantage over having to charge it every seven days. You are also able to monitor things like your dog stress and anxiety, how mobile they are and whether they’re experiencing any pain that might inhibit movement, whether your dog is itching from an allergy or has a skin condition and lots of other things. 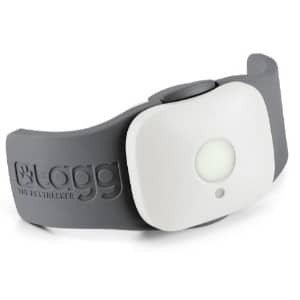 This is truly one of the best devices out there when it comes to monitoring your dog’s activity, and it is extremely light but also very durable and completely waterproof. It is even being used in television shows on animal planet because of how effective it is. 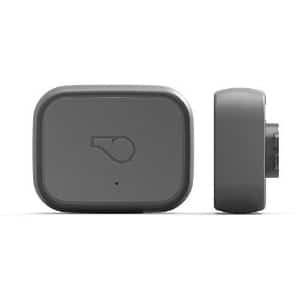 Whistle has another entry on this list, as they are one of the most highly respected brands in the world when it comes to dog activity monitors and GPS tracking devices. The Tagg is another terrific entry that has won many awards and has been around for a long time. This device uses advanced GPS in the nation’s most widespread cellular network. There are a lot of things to like about this dog activity monitor, which is similar to the same microchip that you might have in your dog if he or she was a rescue or if your veterinarian convinced you to microchip them. But this is a much more advanced form of that. However, to be clear, this is not a microchip that gets inserted under your dog’s skin. This is a collar attachment that not only tracks your dog’s activities, but it also gives you accurate location information in case your dog gets lost. These two functions go hand-in-hand to provide you with a much more detailed briefing on what your dog gets up to during the day, and it has lots of advantages. In addition, it is perfect for all sorts of breeds including Labrador Retrievers, Golden Retrievers, French Bulldogs, Beagles, Poodles and more. A GPS tracker for dogs is one of the best Christmas present for dogs that you can get. Just like an electronic dog door or an outdoor dog kennel, this is one of the accessories that enhance your pup’s health. Some of the features that this dog activity monitor provides include safe monitoring of your pet that put you in control. It works with GPS pet tracker app for iPhone and android devices, allowing you to login and see what your dog is been up to at any time. In addition, you can receive alerts to let you know when your dog has left a particular zone, which means that they may have gotten out of your yard. This allows you to take action quickly, especially if you are nearby when it happens. Even if you are not, you are still able to use the GPS to track them down. However the activity monitor function is even more useful. It allows you to track all sorts of statistics about your dog’s health that will ensure that they get all the exercise they need and that you were alerted quickly when they are having health problems. This Link AKC smart dog collar is just as important as other accessories for your dog’s health such as a dog collar, dog harness or even accessories that keep your dog cool such as cooling pads for dogs or cooling vests for dogs. That’s because your dog’s health is the most important thing that you can monitor about your dog, and this smart collar works with many different breeds including Boxers, Huskies in Yorkshire Terriers. The first thing you need to know about this device is that it does not attach to a collar like many of the other activity monitors or GPS trackers on the market; it actually is a collar, and it looks really nice. With seven different sizes to choose from all the way from extra-small the way to extra-large, you are sure to find the perfect color for your dog, and this works with an application on your iPhone or android device, so that you can easily check in and see where your dog is and how they are doing. You do have to sign up with a connectivity plan with this collar, because it uses cellular services much like your own cell phone. However, unlike your cell phone, it is only a few bucks a month; a couple of other advantages that this collar offers that not many of the other devices like it do include an extended warranty and a size guarantee. Some of the features that this particular collar provides include location tracking anywhere in the United States, GPS tracking using the AT&T cellular network, alerts sent to your phone if your dog leaves safe areas that you have previously set up, sound training, activity goals and more. This collar is endorsed by the American Kennel Club, and the activity goals are specifically designed using their guidelines to allow your dog to grow healthy and remain active allowing for size, age, breed and more. It also include safety features like letting you know when your dog’s environment is too hot or too cold for them, and LED light that you can turn on remotely so you can see your dog from a distance, the storing of that records and a battery life the last up to three days without a recharge. Understanding what your pet has been up to is easy with this Tuokiy pet fitness tracker. Getting the right dog activity monitor is just as important as choosing the right dog crate, dog bed, dog house or dog playpen. Whether your dog is at maximum health or is older and requires a dog ramp to get up and down from high places, you will be able to track their activity and improve their health with this activity monitor. Pet owners without a dog activity monitor have to rely on the time that they are playing with their dog are taking them for a walk with pooper scooper and poop bag in hand to determine whether they are healthy or experiencing any symptoms of ill health. But with a dog activity monitor, you get a read on your dog’s fitness simply by logging into your smart phone. While many of the devices that we have been reviewing here are GPS enabled, this is a dog activity monitor only. The good news is, it is very affordable and will fit into any budget. In addition, you don’t have to sign up for any service or pay monthly to use this. This is a really small activity monitor that will fit easily on your dog’s collar, even if your dog is extremely small, and it works with in app that not only monitors your dog’s activity, it also provides valuable health information for you and your veterinarian. Some of the things that this device monitors are whether your dog is getting enough sleep, whether they are getting enough exercise, do they have any health conditions that they are suffering from an analysis of condition and mood that helps your pet to diagnose when there is a problem. You can even use the application yourself to keep track of memorable events, remember when to do vaccinations and go to vet appointments and much more. It also incorporates a virtual leash feature that lets you know when your pet is too far away from you. This can be extremely useful for letting your dog out in the backyard and being alerted when he or she wanders too far away. This is a very stylish and simple device, but it is also packed with features and it is durable and waterproof as well. One of the things that many people do not do is research things that they buy for their pets enough. The benefit of major research when it comes to pet accessories like dog activity monitors is that you are able to see what sort of features are available and make sure that the device you choose has all of those features incorporated into them. People that simply shop can be easily misled by a flashy description or what looks like an amazing array of features, not realizing that the important features that they really need are missing. A dog activity monitor is not just a pedometer for dogs; it is a pet health tracker, a dog heart rate monitor and a whole lot more. A dog activity monitor should give you a huge amount of detailed information about your pet’s health. That’s exactly why we have created this buying guide. Understanding what sort of things to look for in a dog activity monitor is extremely important. If you can figure out all of the important features that you need, then you can decide upon the right one, and include other features that you may not need but could be nice to have. The most important thing though is making sure that your dog is covered when it comes to health monitoring. After all, a dog activity monitor is a pretty general term, and some companies just use it to describe very simple devices that monitor almost nothing. So, let’s take a look at what you need to know when it comes to dog activity monitors. Dog activity monitors and GPS trackers are very similar. In fact, many of the devices out there that are called GPS monitors or are called dog activity monitors are actually both of these devices in one. The differentiation comes when a dog activity monitor has no GPS function, or when a GPS tracker does nothing more than track your dog’s current location. At its very basic level, a dog activity monitor simply measures your dog’s activity. The type of activity that is monitored is what is most important. For example, a dog activity monitor could tell you how long your dog slept – or at least laid immobile – while others can monitor the heart rate, temperature, behavior and much more. The term dog activity monitor mainly refers to the primary function of the device. It is usually a collar attachment, although in some cases it is an entire collar itself, and it often works with an application on your smart phone. This allows you to log in and see the data that the dog activity monitor has gathered in an easy-to-read format. It can also sync with your vet’s information, or provide them with more details that they can use to care for your dog. There are a couple of different options that you have when it comes to the type of locator you have. Of course, not all dog activity monitors have locator options; some are simply activity monitors and do not offer tracking; for those that do, you usually have two options. The first is radiofrequency monitoring. Radiofrequency monitoring allows you to see where your dog is within a few hundred feet. So, you could use radiofrequency monitoring to find out if your dog has left your yard, but you could not use it to track them down once they have traveled farther than the radiofrequency area. GPS on the other hand works with cellular signals, often requiring a separate service plan for your pet, but can track your dog anywhere in the United States. This means that if your dog runs off or gets lost, you can track them down by using an app on your smart phone. There are a number of other dog activity monitor features these should be aware of. All of these are fairly important when it comes to choosing the right dog activity monitor. How accurate your dog activity monitor is definitely is a consideration. When it comes to monitoring your dog’s health, you want to be as accurate as possible. However, this usually means spending more money because it does require a certain amount of technology in order to monitor your dog’s health. However, the more things that you can monitor and the more accurate your device can be, the more up-to-date you will be on how healthy your dog is and the sooner you will know when there is a problem. You want your dog to be healthy, and that’s where health tracking comes in. While logging into your smart phone app and seeing that your dog’s heart rate is elevated slightly might make you wonder if they are running around or playing, it will not tell you that they have had an elevated heart rate or blood pressure consistently for the past few weeks. This is why health tracking is so important. A dog activity monitor should be able to track your dog’s health over time so that you know when something goes wrong. How easy the monitor is to use is also a major consideration. This doesn’t necessarily refer to how easy it is to attach the activity monitor onto your dog’s collar, although this can certainly be part of the process. It mostly refers to how easy the app is to use and how quickly you can become accustomed to looking at in understanding the data that is listed there. You should be able to get the information that you want in just a few swipes with your smart phone, and if you have to have a health expert to be able to decode the information that you are getting, then you are not using the right dog activity monitor or app. It should also take very little effort to set up the app for the first time, because many pet owners will put this off if it is too complicated. That pretty much negates the entire reason for buying the dog activity monitor. Dog activity monitors can be expensive, and you want to get one that is going to stand the test of time. You don’t want something that is going to break and have to be replaced, especially after you have done all the research, found the perfect one and then paid for all of the features that you want. You also want something that is going to be waterproof, because your dog is going to go out in the weather at some point or possibly even jump in the water. Most dog activity monitors allow for this. Make sure that you check the warranty, look for information on the durability of the device and ensure that it is waterproof before you buy. As previously mentioned, GPS tracking is the best way that you can find your dog if they get lost. Radiofrequency identification is very short range, and if your dog gets out and is headed halfway across town, you want to be able to jump in your car and track them down. This means GPS monitoring; it probably also means that you’re going to have to pay for a dog cellular plan in order to be able to access the app and find your dog. However, there are some out there that do not require a service plan; even the ones that do cost anywhere from two dollars to less than $10 a month. This is well worth it if it means that you will be able to find your dog if he or she gets lost. Having Bluetooth connectivity can be a major benefit when it comes to a dog activity monitor. Bluetooth has a couple of advantages when it comes to dog activity monitor tracking. One of the things that it can do is determine whether someone you know is with your dog. For example, if your child has a cell phone that is synced up with the dog activity monitor, and you see that your child is no longer out in the yard with your dog, then either your dog your child may have left the area and you know to take action. The addition of management applications to dog activity monitors have made for an extremely beneficial relationship between your smart phone and your device. Management applications allow you to see all sorts of information that the dog activity monitor measures, and more importantly, it allows you to be able to track that information over time, understand it completely, and even use the information to improve your dog’s quality of life or to get early warning notice for diseases and health conditions. An app is the most important tool in the dog activity monitor equation, and you should definitely research it before you buy the monitor itself. Syncing your dog activity monitor information with your veterinary records, or getting alerts when it is time to have an appointment with your vet or get a vaccination is just one function that veterinary records sync and offer. It can also allow you to move and take all of your dog records with you electronically, including a huge history of all of your dog’s activity spanning months or years. But the main job of veterinary records sync is that allows your vet to take care of your dog better. Various organizer functions are now present in almost all of the dog activity monitors and apps that are on the market. Organizer functions allow you to have a lot more flexibility in control when it comes to the information that is listed there. In addition, it allows you to compare your information with some of the standard health information about your dog’s breed and age, so you can know if your dog is healthy and normal. It can even allow for competition between friends as to see which of their dogs spend more time sleeping, playing or doing other activities. Of course, price is always one of the considerations whenever you’re buying an accessory for your pet. You shouldn’t worry about price is much as you should worry about some of the other functions listed here. Spending more on a dog activity monitor that is actually going to give you the information they need, and help you maintain your dog’s health, is going to save you a great deal of money in the long run. If you can get early warning on a disease or health condition, then you will probably save yourself a few hundred dollars in vet bills, and that is worth spending the extra money on the dog activity monitor in the first place. The bottom line is that there are plenty of things to consider when it comes to choosing the right dog activity monitor. 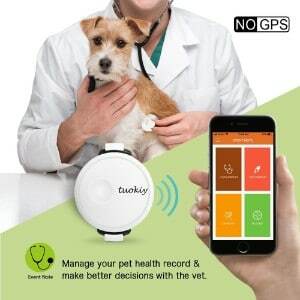 You have to decide whether you want one has GPS over other location tracking, or whether you want something extremely comprehensive that just monitors health and activity so that you and your vet know that your dog is as healthy as possible. There are many options on the market these days, and some pretty amazing features that are improving all the time. There is no doubt that every pet owner should have a dog activity monitor for their canine friend.